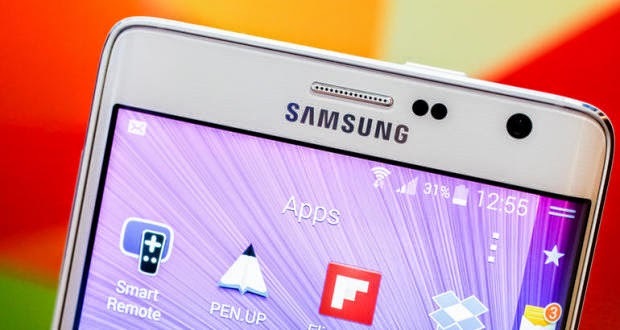 IWASSA Co.: Samsung plans to launch the "Galaxy S 6 EDGE"
Samsung plans to launch the "Galaxy S 6 EDGE"
Operate Samsung in complete secrecy on the next phone in the leading phones category, where there are around rumors contradictory here and there - confirms secret Samsung - the last of which was the name which is expected to be the Galaxy S 6. seeks Samsung next phone to achieve the success that can not Galaxy S 5 achieved, where the company's sales of smartphones dropped sharply during the previous fiscal quarter with pressure competitors (Apple and Chinese companies) strong. The new common today come exclusively from site Sam-Mobile suggests that Samsung will launch a version similar curved screen for what it did with the last generation of Walnut out on behalf of Galaxy S 6 EDGE, that the company launched in parallel with the launch of Galaxy S phone 6. Common look past the closest to ratification, why? Because Samsung earlier announced it would build the next flagship phone from scratch, will not rely on any previous designs phones ... The company would like to re-establish this wonderful sales achieved by the Galaxy S phone 3 and was then a completely new design for users. A reminder of the specifications that we expect to get out of the Galaxy S 6, the phone will come accurately screen Quad HD (2,560 × 1,440 pixels) with a 64-bit processor Exynos 7420 or Snapdragon 810, and rear camera, ranging from 16 to 20 megapixel front and the other 5 megapixel. While the interior will Capacity (32-64-128 GB).